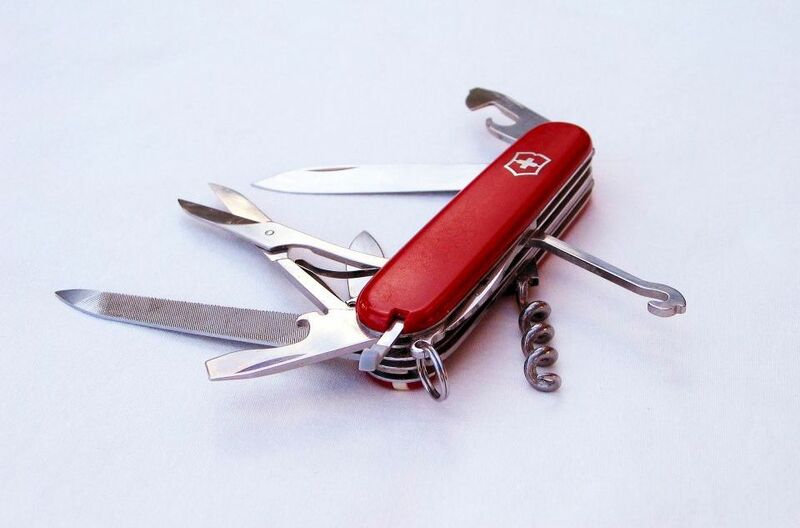 Victorinox is the producer of the original Swiss army knife. The company was named after the mother of the owner, Victoria. Nox was added to the name because the knife is made of stainless steel. Another term for stainless steel is inox, which comes from the French term inoxydable. By adding chromium to iron stainless steel does not oxidize – the process that forms rust – as plain iron does. The term ‘stained glass’ dates back to one thousand years and is often found in the windows of churches, mosques or other significant buildings. Many different materials are used to create different colours in stained glass. For example, adding nickel at different concentrations produces colours of blue, violet or black glass. Dark red or opaque colours are created when pure metallic copper is added whilst adding titanium produces yellowish-brown coloured glass. The addition of Manganese gives an amethyst colour. 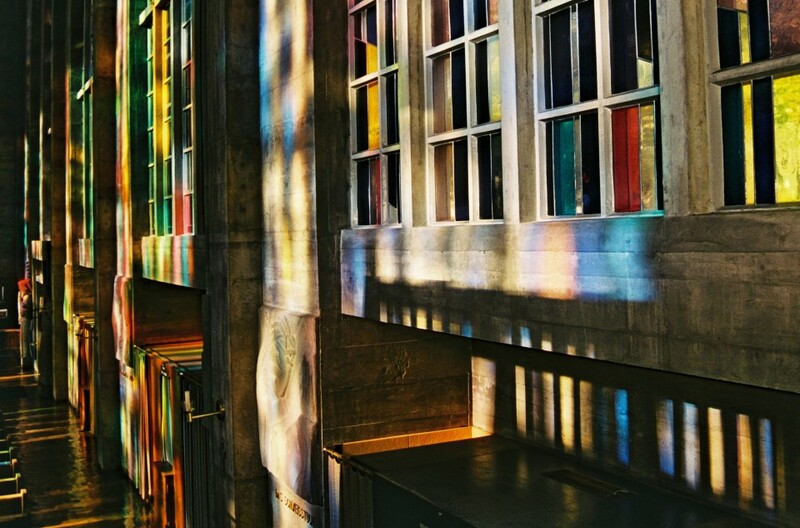 An example of modern stained glass window can be found in St. Anton church in Basel. After getting sunburnt whilst out climbing, Swiss chemist Franz Greiter, introduced his first sun protection product in 1946 which was perhaps the first effective sunscreen. The cream was called Gletscher Crème (Glacier Cream) which soon became popular and was the basis of the company called Piz Buin which still exists today. In conjunction with the work of Friedrich Ellinger and Rudolf Schulze, Grieter also introduced the ‘sun protection factor’ (SPF) which has become a world wide standard for measuring the effectiveness of sunscreen. 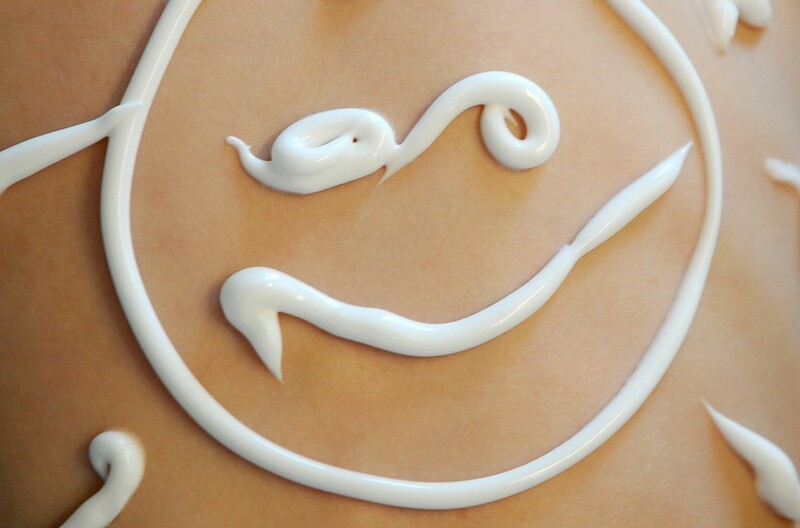 It has been estimated that the Gletscher Crème had an SPF of 2.